Upon earning his degree in Political Science from the University of Pittsburgh, Austin accepted a position with Allegheny County Executive Rich Fitzgerald to serve on his Executive team as an Executive Assistant to the County Executive. In this role, Austin spearheaded the County Executive’s Vision/ Transition teams early in the administration. Austin also represents the County Executive in a number of capacities including serving as Mr. Fitzgerald’s representative on the Jail Oversight Board, the Kane Foundation, the Minority, Women, and Disadvantage Business Enterprise Advisory Board, and the Shuman Detention Center Advisory Board. In addition, he currently serves as Vice-Chairman of the Allegheny County Housing Authority board of commissioners. Austin serves as the liaison between Municipal/Elected officials and the County Executive’s office. He is also responsible for constituent services and many other tasks that add to the day to day functions of the County Executive’s office. 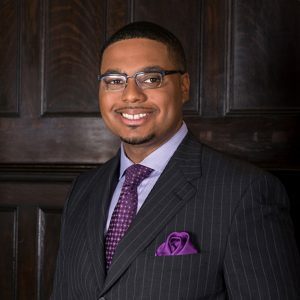 Austin currently serves as the Vice-Chairman of the Allegheny County Democratic Committee as well as on board of directors of the YMCA of Greater Pittsburgh, The Consortium for Public Education, Communities in Schools of Pittsburgh, and Auberle. In 2015 he served as United States Delegate to the One Young World Summit in Bangkok, Thailand. At the 2016 Democratic National Convention Austin served as a member of the Rules and By-Laws committee. He is committed to help better the lives of those in some of Pittsburgh’s most distressed communities. He has received numerous awards/recognitions for his work in government and the community such as Pittsburgh Magazines 40 under 40 award, Pittsburgh Tribune Reviews People to Watch (2015), the Josh Gibson Foundation Civil Service Award, the McKeesport NAACP Character Leadership Award, the New Pittsburgh Courier’s FAB 40 Award, the Alpha Kappa Alpha Sorority Gentleman of Excellence in Government Award, New Pittsburgh Courier Who’s Who in Black Pittsburgh, Champion Enterprise’s Public Service Award, CEA’s Community Builder Award and the Pittsburgh Service Summit’s Get Involved Male Emerging Leader Award. Austin and his wife Blayre live in his lifelong hometown, McKeesport.